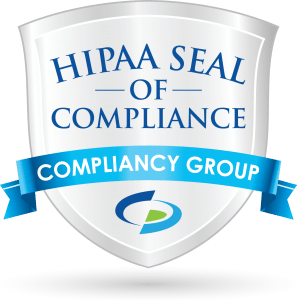 We’ve recently been surveying the vendor landscape to see who has HITRUST certification. In this post, we will determine whether Office 365 from Microsoft is HITRUST certified or not. 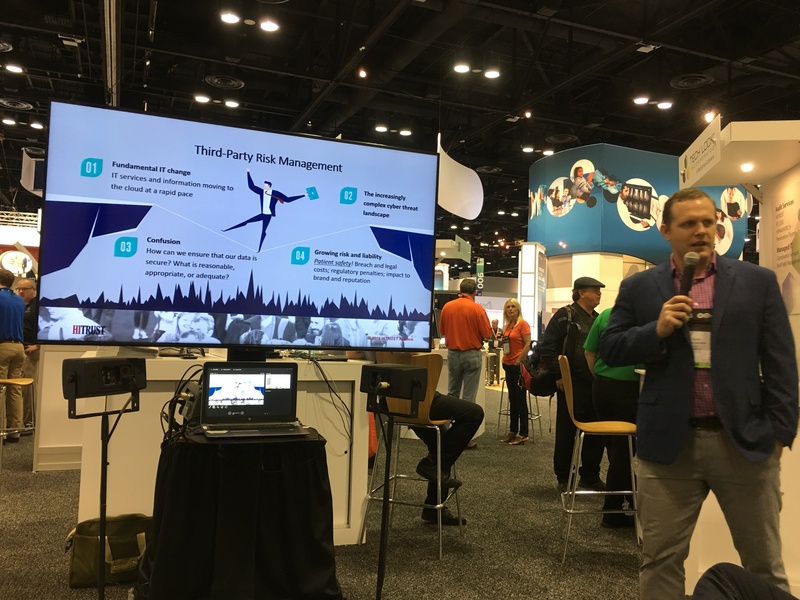 I managed to grab a seat for Taylor Lehmann’s presentation today at the HITRUST booth during HIMSS19 Orlando. Taylor is the Chief Information Security Officer at Wellforce. 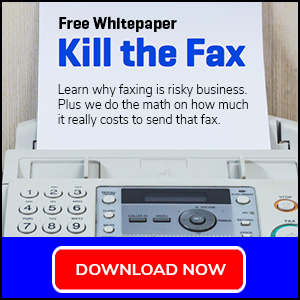 He is also one of the founding members of the Provider Third-Party Risk Management Council. 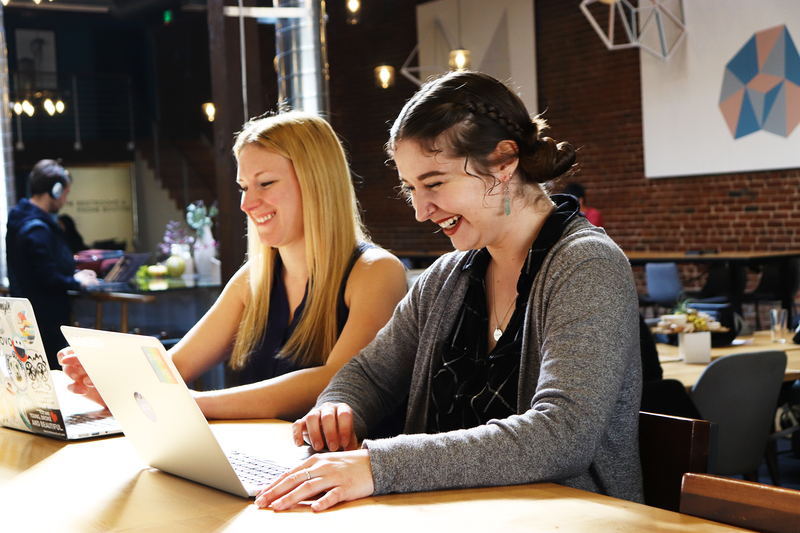 As we’ve mentioned a number of times – at Paubox we take securing your data seriously and it’s embedded into our company culture. 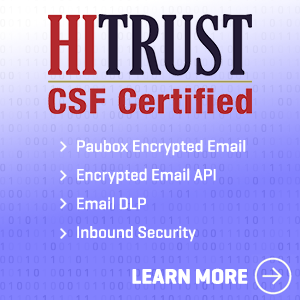 Which is why we are very proud to have Paubox Encrypted Email, Secure Email API, Email DLP Suite and Inbound Security products achieve HITRUST CSF Certified status. 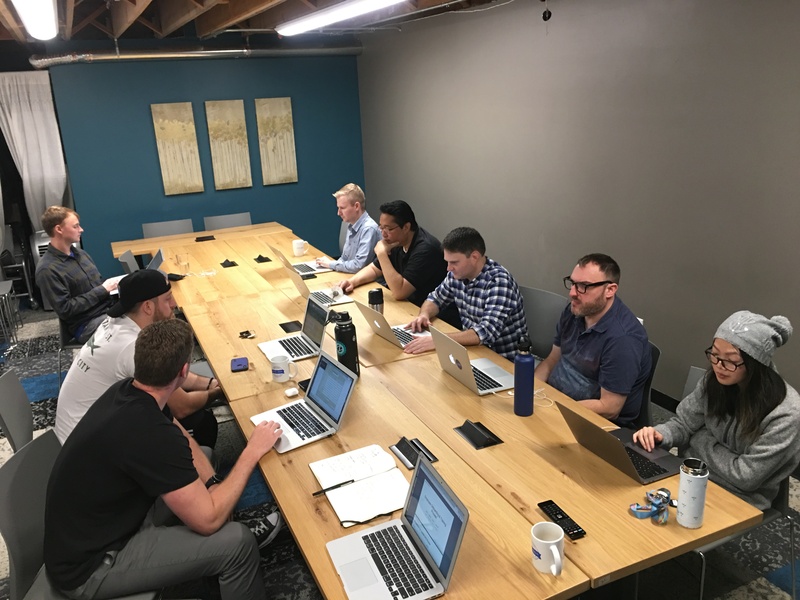 Last Friday, Tyler “Commish” Dornenburg and I got into the office early again for the final push on our HITRUST RightStart assessment. Although we completed all 310 controls the day before, more work remained. HITRUST Fatigue got me again last night. While the team we assembled to tackle HITRUST put in work last night from home, I knocked out on the couch with my screen in front of me. I’m back at it early today, rested and feeling motivated to catch up to my teammates. 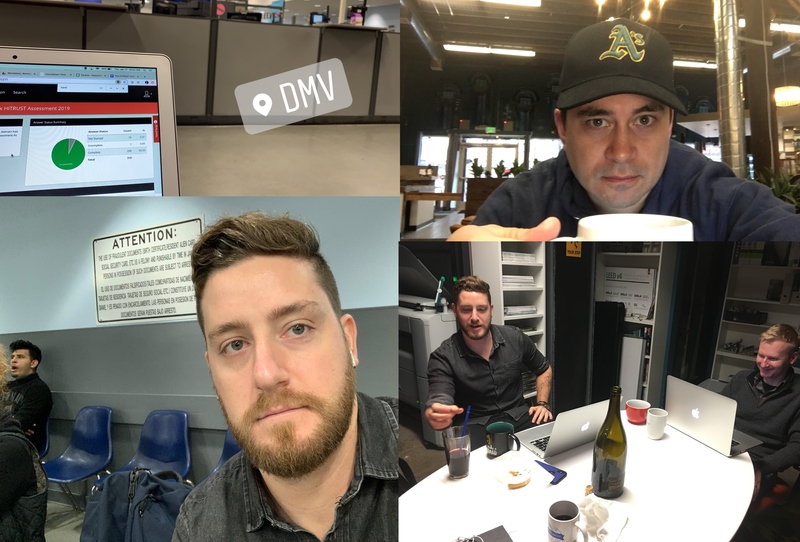 With Tyler “Commish” Dornenburg at the DMV for an appointment, we put in a final unified push today from both the Oakland DMV and the office.